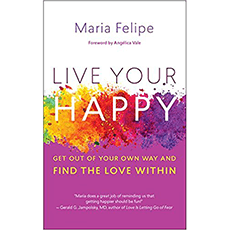 In “Live Your Happy”, Maria Felipe shows you how to banish the “cuckoo voice of the ego” in order to access unlimited love and strength. This book aims to help you connect with your internal teacher toward a life of joy and power. The author shares her own experiences as well as those of her students to demonstrate that we all have the ability to release our fears and embrace true happiness.